what a beautiful photo and beautiful quote! I was just thinking this week that I needed to be creative like this - maybe I can link up some day! Thank you for your link up. I am becoming a follower too. Hope you will return the favor! 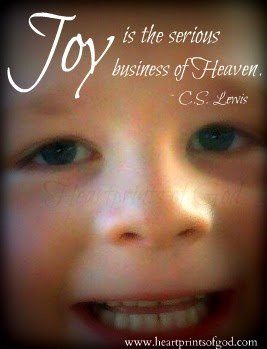 Joy is serious and we can express it by our living and our giving!